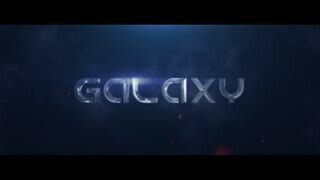 Template Description: Spiral Galaxy is a 19-second-long logo stinger, pre-rendered in 3D with fully customizable colors and 3D text. Main features: *AE Version: After Effects CS5.5 and above . *Editability: All colors and text easily customizable (Font is not easily customizable, needs "Incised901 Bd BT" Font). *Length:13 seconds. *Resolution: 1920x1080 Full HD. *Plugins needed: Optical Flares. *Readme File included. *Music and Sound FX are included as separate tracks with the project.